Automatic pool covers are quickly becoming the preferred option in today’s marketplace. In addition to allowing homeowners to open and close their pools with ease, these covers offer an extra sense of safety and security when a pool is not in use. Unlike pumps and filters, however, the installation of an automatic cover varies from project to project. Thus, these specialized devices necessitate technical skill in regard to their installation and, more importantly, maintenance. Becoming an expert in these unique installations requires practice, but, for many shops, developing this type of in-house talent can pose a challenge. As such, the industry is seeing a growing number of professionals opting to concentrate specifically on automatic covers, which is leading more and more builders across Canada and the U.S. to outsource this business. As with any installed product, the question aquatic businesses need to address is whether they should sell and install automatic covers, or simply provide their customers with the product and outsource its installation. This decision largely hinges on the competencies of an individual company and how it would best profit. While automatic covers are becoming increasingly popular, this is not generally a service pool builders are asked to provide for their clients on a daily basis. This is one reason why more and more professionals have come to realize they do not need to keep their staff trained on the installation and service of these devices. In short, outsourcing allows companies to concentrate on what their business does best: building pools. Steve Edwards of Edwards Construction in Wichita, Kan., installed automatic covers through his company for more than six years; however, he came to realize performing this service in-house was taking him away from his core business—one that already required his crew to be trained in a number of specialized services. Overall, Edwards found the work associated with automatic covers to be time-consuming. For each installation, his crew built the box that held the cover, which often resulted in extra running around from the facility to the site. This made it difficult for Edwards to keep track of labor costs throughout the progress of the installation. To realign the focus on his primary business, as well as better manage his costs, he opted to subcontract the installation and maintenance of automatic covers. This meant he was still able to offer the sought-after technology to his clients, but he did not need to worry about the additional training that would be required to prepare his employees for these specialized applications. For some builders, the challenges associated with automatic covers are not related to the installation, but rather with the intricacies of their resulting maintenance. It is telling that most calls received by automatic cover specialists come from builders—and these calls relate to builds they completed themselves. This is because, on some systems, installations require minor follow-up adjustments to function effectively. For example, if not installed properly, covers can become a bit askew or crooked after they are first used. While these types of calls are easy fixes for professionals familiar with the units, they can be challenging for some builders who do not have this specialty—especially if they have already moved on to another project. For more significant problems, many crews who do not perform daily work with automatic covers find it takes anywhere from one to two days of troubleshooting to determine how to solve a relatively simple operation issue. This same issue may take a specialist only minutes to identify and repair. Zach Stevens, an automatic cover specialist based in Detroit, Mich., says most service calls he receives are the result of construction that was not performed using best practices for these specific installs. “It’s not that the builder did a faulty installation—they simply haven’t done enough of them to know some of the tricks of the trade to help avoid problems down the road,” he says. While attending these calls, Stevens sees many of the same problems over and over. These issues could have been avoided if the initial builder had known to make certain allowances for these unique installs. The installation of the brackets that hold the stone lid that go over the mechanism is very important, says Stevens. While a builder may make this aspect look visually appealing, they may also permanently install these brackets without thinking about the necessity for them to be removable when they need servicing later on. “In those cases, a fix that might take 30 minutes with a $50 part becomes a job where the client has to spend $1000 on new brackets, plus the labor to remove the old brackets—all because the builder didn’t plan for ease of access to the cover mechanism at the time of installation,” explains Stevens. 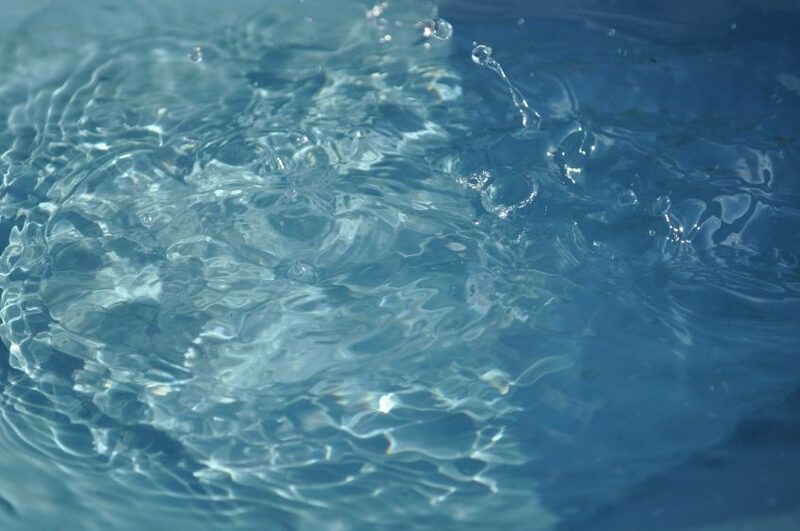 Another common (and avoidable) mistake occurs in the pool’s pre-pour stage. Often, an installation crew will build the mechanism box too small. This leads to future maintenance issues in which service professionals are required to ‘work around’ the tight space by installing pieces in backward or upside-down to access the mechanism. One of the most common calls service professionals receive is the cover no longer glides (i.e. opens or closes). Often, this is because the retainer (or track) along which the cover moves has been smashed down. This occurs if the retainer is too thin for the application and the heavy concrete compresses the track. This compression prevents the cover’s ropes from being able to pull the cover open and closed. If this preparation is not considered during the construction process, the fix often requires breaking the deck to replace the track. Fortunately, this problem is preventable. Often, builders who do not specialize in automatic covers do not have spare parts on hand to repair potential problems with installations. Thus, they often need to order the part, wait for it to arrive, and then make a separate service call to make the repair. Further, while the pool’s initial installer may not recall the specifics of the project when contacted with an issue, companies that specialize in these installations are familiar with all makes and models of automatic covers. This informed know-how helps ensure the client will be satisfied with the maintenance, which will keep them loyal to the builder for other product sales. Automatic cover professionals have proven tricks of the trade to make sure these covers are installed and repaired in a timely manner—even when weather poses a challenge. This often comes up in the winter, as the vinyl material of these covers stiffens in the cold, becoming heavy and difficult to manage. However, Hunt is prepared for this problem and knows how to handle it. Automatic pool covers are quickly becoming the industry standard for dealers and homeowners across Canada and the U.S. While these devices make owning a pool easier and stress-free, their idiosyncrasies can be a headache for those who do not specialize in them. When pool professionals outsource the installation and maintenance of these covers, they find they can focus on their core business—whatever it is they do best. In most cases, this equates to building more pools and increasing profits. With the seasonal nature of this industry, there is no time to waste and it is vital to get as much work done as possible in those seemingly short summer months. This article was written by Dana Robinson and originally appeared on Pool & Spa News [link].